Tailored triathlon coaching for ambitious athletes with unpredictable lives. With almost a decade in triathlon including seven Ironman races while juggling the responsibilities of father, partner, a heavy work schedule and volunteering I understand that everything going to plan is more the exception than the rule. All it takes is an unexpected work commitment, the kids getting sick or a need to earn back some brownie points from from your significant other and the nicely laid out plan written two weeks ago falls into disarray. 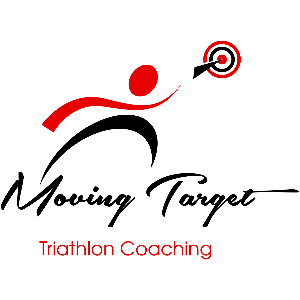 At Moving Target Triathlon Coaching we believe that your success doesn't have to be limited by your ability to plan ahead and complete sessions at all costs. A forced easy or rest day can be an opportunity not an obstacle with a smart, flexible approach. We aim to get the best out of you with consideration for all of your obligations and as such expect to be called upon at reasonably short notice to account for those little unforeseen hurdles. One-to-one coaching services are limited to a maximum of five athletes to ensure that you get the individual attention that you deserve. We accept athletes of all levels after consultation to decide whether we are the right fit for you. To ensure that we can properly manage your training GPS and heart rate monitoring is essential. Success. Coach Travis Bentley has been notified of your message.